On normal Fridays, the Ducksters fly to France to visit Grandpa Fred. 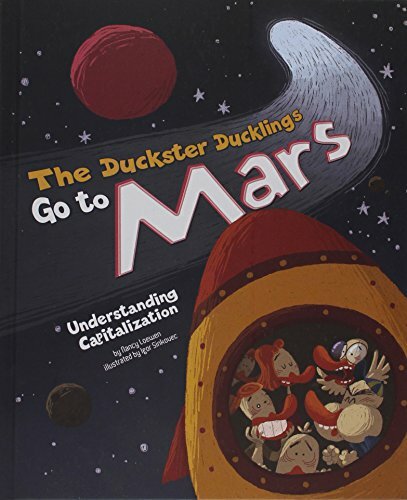 But on Friday, June 13, the Duckster ducklings find themselves aboard the Mars Express, zooming into space WITHOUT Mom and Dad! Paired with back matter that supports a better understanding of the featured grammar concept, this wild adventure story explains when and where to use capitalization. If you have any questions about this product by Picture Window Books, contact us by completing and submitting the form below. If you are looking for a specif part number, please include it with your message. Would You Rather: Doubly Disgusting: Over 300 All New Crazy Questions Plus Extra Pages to Make Up Your Own! Would You Rather...? for Kids!